Going to the hospital is just plain not fun. But there are some hospitals who are trying new ways to make their patients’ stays as pleasant as possible. They are working with an organization called Planetree, founded by a former patient named Angelica Theiriot. In the 1970’s, she was very ill and had to be hospitalized. The actual care she got was pretty good, she said, according to this article on the NPR website, “but she was really horrified by the human experience that she had.” She founded Planetree with the goal of changing the health care system to be more patient- and family-centered. After more than three decades of pursuing this goal, Planetree has “designated” 30 hospitals and nursing homes in the U.S. and four other countries as meeting their criteria as someplace that provides truly patient-centered care. Fauquier offers services such as making all of its patient rooms private; food is cooked and delivered to order; the walls are decorated with local art; and the hallways are carpeted. They also offer massage therapy onsite, and even bake cookies! The hospital’s concierge (it has a concierge) says that Fauquier has a “different energy about it” since it adopted the Planetree model. Doctors and patients seem to agree. Interventional radiologist Adam Winick admits he was a skeptic at first. Winick says he was particularly concerned about doing away with set visiting hours, which among other things gave patients’ families open access to the intensive care unit. “My own little area that I was most worried about was in a code setting when the patient’s heart stops. And having the family members standing there watching I felt would traumatize the patients’ families, because they don’t understand what’s going on,” he says. But that hasn’t turned out to be a problem after all: The hospital always makes sure a staff member is on hand to explain to the family what’s going on in those situations. Winick also says that communication has improved between patients and staff, and between doctors and nurses as a result of the changes. Poor communication in the hospital was a key complaint in the poll conducted by NPR, the Robert Wood Johnson Foundation and the Harvard School of Public Health. Patients also seem to appreciate what they see as more personal care. And how much more does all this pampering cost? Actually, unlike many hospitals, Fauquier doesn’t charge extra for private rooms or fancy food. And Planetree President Susan Frampton says that providing the kind of care that involves patients and their families, and that patients actually want, can cut costs. She says that one hospital system that has some hospitals in the Planetree system and some that aren’t compared its orthopedic patients. But health quality experts like Don Berwick, the former head of Medicare, warn that the most important part of places that are designated by Planetree aren’t the fancy extras like alternative therapies or fancy food — it’s the actual involvement of patients and families in their own care. Berwick and other quality experts also warn that being a patient-centered facility doesn’t itself guarantee high-quality care. Patients still have to make sure the medical staff is following proper guidelines for care and getting those good outcomes. But they say that keeping the patient and family highly involved in their care is one important indicator of a good hospital. 1. Determine what level of care is needed. An individual that is relatively independent may not need a nursing home, but other service, such as an in-home assistant. 2. Research state and federal inspection reports and Medicare 5-star ratings for facilities you are considering. 3. Visit multiple homes. Be sure to speak with family members of residents, the director of nursing, and have the director of nursing address violations of regulations cited in inspection reports. 4. Take a friend or someone else who is not emotionally attached to the individual who needs assistance. 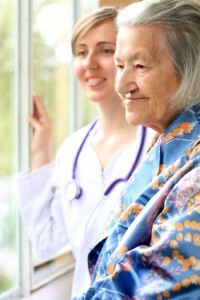 He or she may provide a different perspective on each nursing home you visit. The head of a local nursing home was arrested this week after police said they found her in possession of cocaine. Amy Dawn Jordan runs the Hillcrest Nursing Center in Moore but didn’t show up for work after her arrest on Wednesday. Oklahoma City police said they pulled Jordan over after they saw her make an illegal turn. They said they found 26 grams of cocaine in the car and $191 they said came from selling the drug. A Canonsburg woman who served as the financial controller for two nursing homes admitted today to embezzling more than $600,000 from them. Gayle Phillips-Smith, 48, pleaded guilty to one count of embezzlement from a health care benefit program and to one count of tax evasion. According to the U.S. attorney’s office, Ms. Phillips-Smith served as the financial controller at Baldock Health Care Center in North Huntingdon, and Humbert Lane Nursing and Rehabilitation in Washington, from 2001 to 2005. Read more in the Pittsburgh Post-Gazette. CHICAGO — In a surprise move, a state health-care planning board on Tuesday unanimously approved a proposed 75-bed nursing home on Springfield’s west side. Supporters of the $12.9 million Springfield Nursing and Rehabilitation Center still need to obtain zoning approval from the Springfield City Council before the facility can be built at 3089 Old Jacksonville Road. But the decision by the Illinois Health Facilities Planning Board, which was meeting in Chicago, meant that the venture cleared a major hurdle. The vote surprised and relieved Charles Foley, a consultant who was working with the Skokie-based investors behind the project. Read more at the State Journal-Register. Want to follow a good nursing blog? Subscribe to our RSS Feed!